John Hill, Pilot’s president and chief commercial officer, presented at the Manufacturing and Quality Expo in Charleston, South Carolina, on October 2. During his presentation, John spoke about several supply chain challenges facing today’s manufacturers, highlighting the evolution of e-commerce, mobile technology, the labor force and logistics site selection as four major catalysts of change in the supply chain landscape. 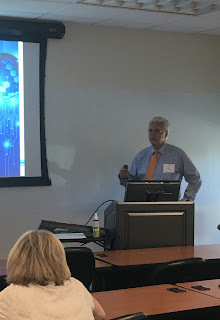 Since Pilot is a strategic partner to many manufacturers, John offered attendees several ways to mitigate the risk of disruption in their own supply chain by looking at legal and regulatory, environmental, technological and economic factors. To learn how Pilot can make a significant impact on your company’s efficiency and supply chain productivity, visit www.pilotdelivers.com.